Thank you for inquiring about Results Business Advisors. We appreciate your interest in the Results Business Advisors team; we are your best choice for Business Brokers in Omaha. We take great pride in the quality of service that we offer and the integrity with which we perform our business broker obligations. We believe in providing a quality service that concludes in the successful sale or purchase of a business that may also include real estate. We do not represent our clients just for the sake of it – we strongly value success with each client for whom we represent, and we take great care in the representation of our clients. Confidentiality, attention to detail, and years of experience sum up the quality of service that we provide. The marketing and sale of an existing & operating business, if handled properly, will result in the successful matching of buyer and seller who otherwise, may have never met. We look forward to consulting with you and learning about your specific business opportunity. We invite you to learn more about our firm and discover what makes us different. Please contact us with any questions you may have about our services here at Results Business Advisors. 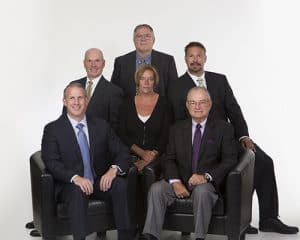 Collectively, our RBA team of professional business brokers in Omaha has over 50 years of experience. We have owned as well as sold our own small businesses. We have independently consulted dozens of companies and then sold them at the appropriate time. We have acted in an advertising or marketing capacity for all types of business enterprises and have specialized in traffic enhancing media exposure for many different purposes. As a result, we excel at working with business buyers and business sellers across many different industries including all kinds of successful businesses. Our Nebraska business broker team has sold a number of information technology companies, healthcare companies, manufacturing companies, bars, taverns, nightclubs, restaurants, fast food establishments, liquor stores, wholesalers, distributors and food and beverage manufacturing. In addition, the business brokers at RBA have sold various companies in other forms of manufacturing including metal, plastic, wood, rubber, fabric, and apparel. Our brokers have conducted many other successful business sales in a variety of industries including distribution, printing, medical equipment, medical services, logistics, warehousing, storage, family amusement, industrial cleaning, equipment rebuilding, energy technologies, auto reconditioning, car wash facilities, and many other “main street” retail businesses. We will help you, as a buyer or as a seller, to analyze each “business for sale” scenario and help you determine the best course of action for that specific business opportunity. In this ever-changing economy and with the heightened entrepreneurial spirit of the last few years, our ability to introduce a qualified business buyer to a willing business seller, is suddenly even more important than it has ever been before. Our network of expertise also spans out across other professions in the “business for sale” arena. 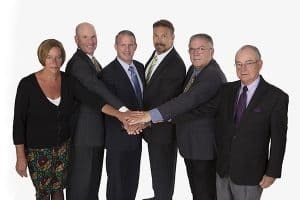 As Business Brokers in Omaha, our firm has developed many professional relationships that you can turn to for direction under any circumstance. Please review our list of referrals for your needs in other professional areas relative to business sales or planning.